No sanding down is required. Benefits of using a flexible filler. Can be over painted in 1 hour. 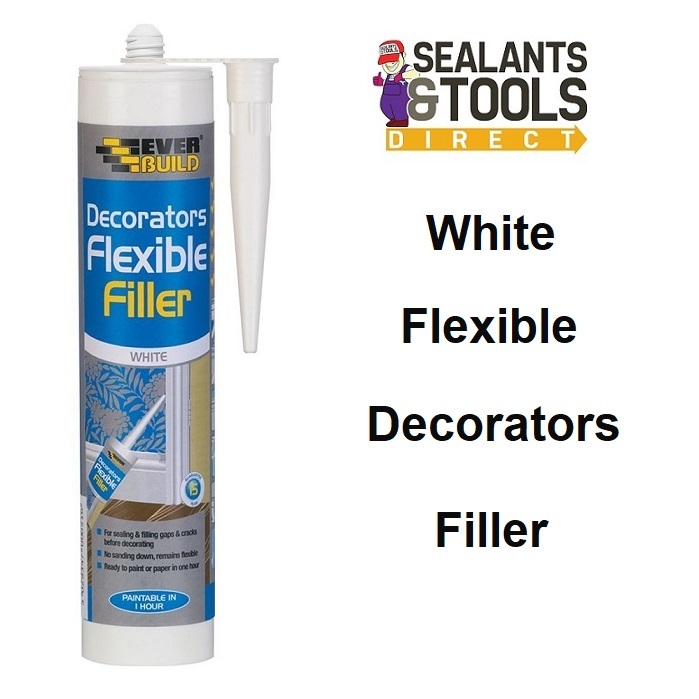 For sealing and filling cracks gaps prior to decorating. stair treads and risings and fixtures adjoining walls.